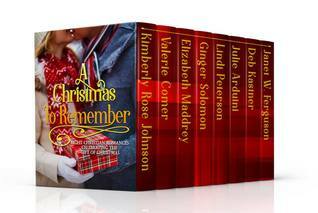 Several Inspy authors and I have come together to create a boxed set, titled A Christmas to Remember. I believe you’ll hear more about their stories as the month goes on, but here’s the set blurb and mine. The link for the preorder will follow, though it does release 10/2, so if you see this post a day or so late, you’ll get the real deal (same link). Laugh, cry, and fall in love as you savor these brand-new Christmas romances from some of your favorite authors. Pair with a peppermint chai, hot chocolate, or your favorite wintry flavors, then snuggle down in front of the fireplace with a quilt over your lap… and maybe a purring cat! 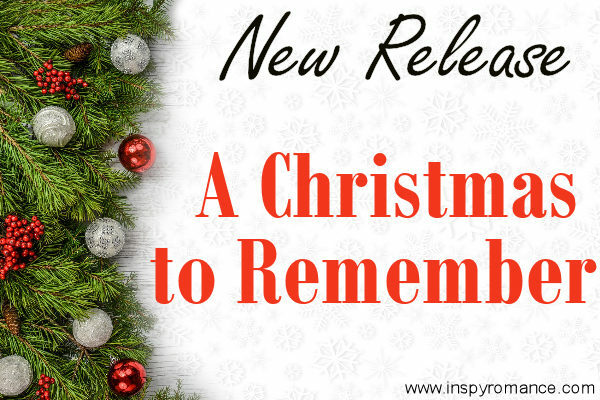 Eight authors have joined together in this Christian romance collection that will leave you celebrating the gift of Christmas. With the knowledge that several of us would be posting about this set, I hadn’t intended to do so. But here it is, two days before my post goes live, and I’m plagued with a migraine and barely able to think. Because of that, I’m posting a quick interview with Clarissa. Enjoy. Hey, Clarissa, how goes it? Independent. Opinionated. Loyal. I like who I am—who God made me to be—and I don’t mind telling people what I think. On the other hand, if you need me, I’ll be there for you. What character trait do you value the most? If you’d have asked me that six months ago, I’d have said kindness, but now, I think honesty or integrity. Oh, this and that. <She chuckles.> I’ve learned from experience that I’d rather people be honest with me than spare my feelings. Do you have a personal relationship with the Lord? Absolutely. Couldn’t live without Him. I don’t know how people who don’t have His love and comfort make it. I’ve had some days where He was all that held me together. Yes. I used to take God for granted. I knew He was there, ya know, but I just didn’t see the need to spend too much time thinking about Him and what He wanted. I lived a good life, and I went to church, but I didn’t have a close, personal relationship with Him. Then Stan and Sawyer got in the accident, and my life seemed to unravel before my face. I met a sweet woman named Natalie. She showed me God’s love in a way I’d never experienced it before. <Clarissa grins.> Natalie didn’t beat around the bush. She told you like it was and expected you to get in line. But she’s also the sweetest soul in the world and will hug the tears right out of you. She helped me understand so many things. It’s wonderful to have great friends like that. Thanks for stopping by and chatting with us, Clarissa. Hi Ginger, migraines are awful, I hope you have been able to find somewhere dark and quiet to sleep. Thanks for sharing more about your story, I look forward to reading the set. Hi Ginger! Prayers that you feel better soon. My set is preordered and I wish all the Inspy Romance authors a great release day. Thanks for Clarissa’s introduction. Best wishes. Thanks, Renate. I am better today. And thanks for your continued support. I pray you enjoy the set. Pre-ordered, and sounds like a neat collection. It was such a pleasure to participate with you in this collection, as well as the others. I’ve enjoyed your writing for a long time. I hope you feel better, our daughter has migraines and they are such a drain on everything. Praying for you. So sorry about your migraine, Ginger, those can be so awful! Praying you feel better soon! I love Christmas books. Sounds like a great collection. I’ve borrowed it through Kindle Unlimited. I’m glad you’re feeling better. Prayers you feel better soon Ginger My daughter has migraines a lot too Beautiful covers on the books!